Once again, I found myself completely and totally immersed in the story of the Green Creek wolves and their allies. There is something almost mesmerising about the writing in these stories. The prose is beautiful, the characters are wonderful, and at times I swear I could actually feel the magic that binds the Bennett pack together. This second book belongs to Gordo, the pack witch, and Mark, Joe’s uncle. 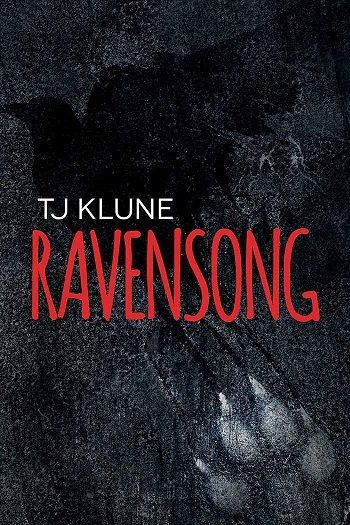 If Wolfsong tells the story of two boys growing into their adult selves, Ravensong tells the story of two men who have to come to terms with the events and people who shaped their younger selves. There is a long and complicated history between Mark and Gordo and an even uglier history between their families. The plot is intricate and complicated. I found the first part slow, retelling Joe’s three-year absence from Gordo’s perspective as he accompanies Joe and his brothers on their quest. But once Gordo returns home, the story speeds up to an almost frantic pace. This story is full of action and at times the suspense is almost unbearable. 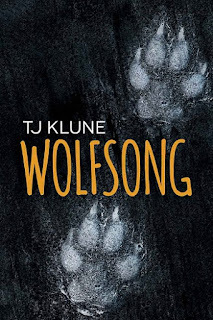 I loved seeing the Wolfsong characters from a new perspective. I understood the human pack members much better after reading this and I loved the insights into the pack’s history and Gordo’s personal past. I think it is the characters and the relationships between characters that make this series so special. Like Ox, Gordo is not a Bennett and I love the way he scrutinises the pack and pack relationships from his position on the periphery of the pack. For reviews & more info, check out our Wolfsong Dual Media Review post. 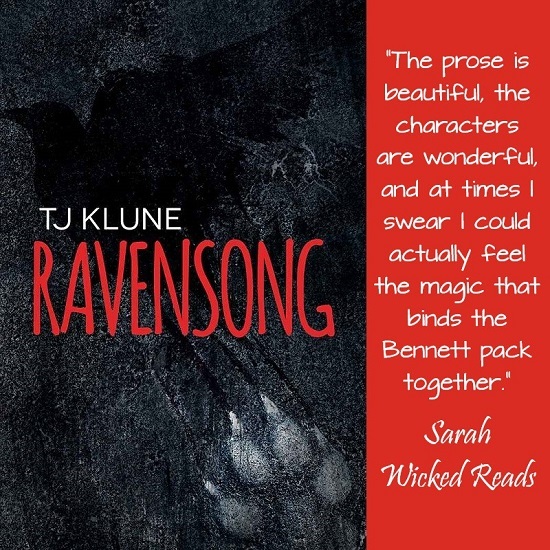 Reviewers on the Wicked Reads Review Team were provided a free copy of Ravensong (Green Creek #2) by TJ Klune to read and review.